Wild flower is based on the concept of “Lookism”. Lookism is actually a term used to describe the phenomenon of how, societally, physically attractive people meet with positive reinforcements. For me, this translates into how eventually physical appearance becomes so vital that it negates everything else, this obsession is one of the aspects that I have attempted to communicate through this piece. The idea of how these changes are merely superficial, skin-deep changes and does not effect or change the self entirely, is a subject that is recurring in the choreography. Why I was fascinated with this was the fact that it has been such a big influence on me and everybody around me, but it still goes unnoticed. Dance itself has such a big influence of physical appearance that a body starts moving or dancing the way it wants to be seen instead of the way it needs to be understood. This very phenomenon led me to explore this subject and a conversation I started led to the creation of the entire piece. For me movements should be easily translated into words. And choreography is merely a paragraph where all the lines and phrases hold equal value. My motive is to create depth or layer meaning in every movement which will communicate the base/fundamental concept. What might look like a distortion is an exploration in breaking an orthodox geometry which will communicate some aspect of the concept. For me a movement’s visual value is as important as its communicative value. 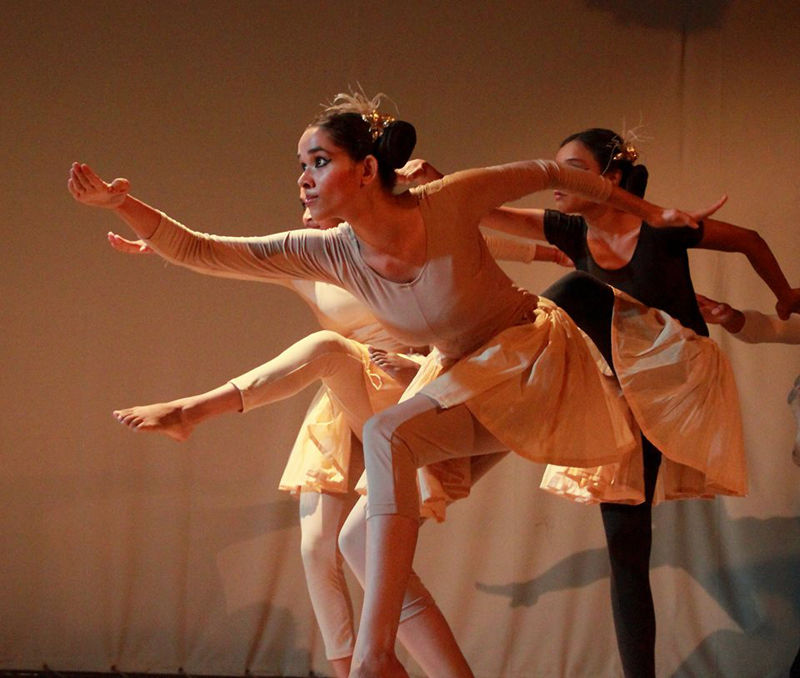 For me, the most fascinating part of Indian dances is its geometry and shapes. In this choreography I have kept this geometry as my ingredient to create the movement material upon. Since its a familiar concept it was easy for me to bring all the dancers on the same page in terms of understanding the fundamental idea. The real challenge was to communicate the subject through movement. In the initial stages the dancers just conversed about how lookism has influenced them and what are these influences, and how it has affected them. Through these debates, we derived at certain opinions, which were then narrowed down to specific words that could express these opinions which were then used as the ingredient to generate movement. Since the theme has such great influence of visuality, the dance’s and the dancer’s appearance had to invoke a specific emotion- mainly that of awkwardness. In order to bring this texture on the movement and to make the dancers undersatnd it, we spent several sessions creating this feeling of awkwardness and allowing the body to react to such a situation. We collectively watched videos which would invoke the idea of the required style of movement. As I have mentioned before, the communicative value of a movement or dance is as important to me as it’s visual value. The geometry of bharathanatyam is the base geometry for the piece and most of the phrases where created on this geometry. The distortions were somewhat necessary to create a sense of confidence in altering oneself in order to fit in or any other reason why lookism becomes such an integral part of everybody’s life. 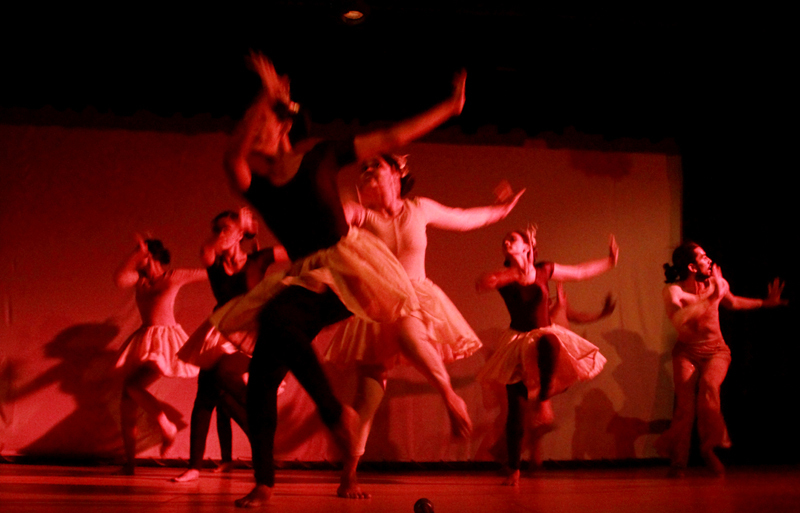 The bharathanatyam Adavus are used in someplaces as it is, to represent the self as opposed to the altered self.